Your Mercedes-Benz is a high-class, exclusive, luxury vehicle. It needs service to match. The problem is finding somewhere that offers that type of service without breaking the bank! You can’t go to the corner mechanic either – after all, there’s no guarantee your local mechanic will know all the intricacies inherent to a complex vehicle like a Mercedes. Luckily, there’s a third option: an independent Mercedes-Benz service centre like Ammstar! Car dealerships aren’t given cars by the manufacturer. Just like any other business, they have to buy them using their own money. The kicker? The margins on most car sales aren’t even that high – according to CarsGuide, most dealerships only make about 5% of their profit on car sales. 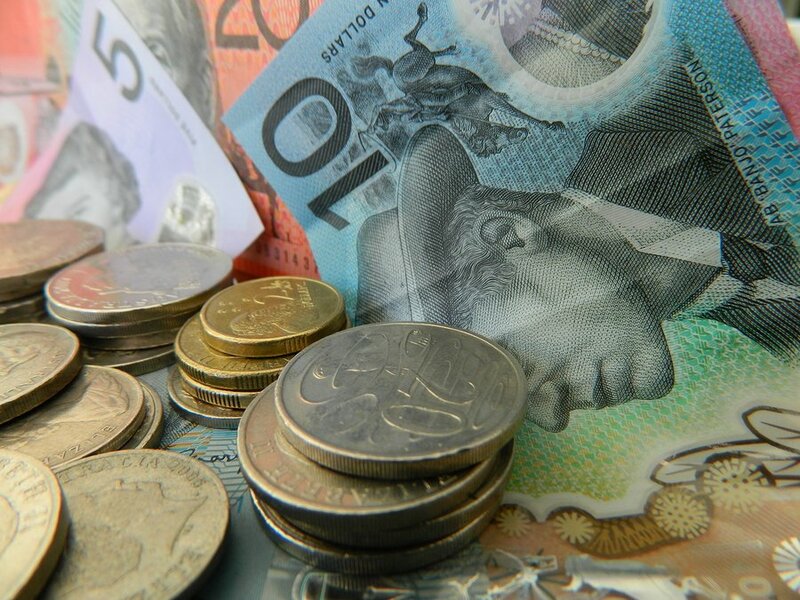 As such, dealerships have an incentive to upcharge on things like service in order to cover salaries, running a service centre or rent for showrooms. While Mercedes-Benz dealerships might be able to enjoy a higher profit margin than most car makes, the habit of charging more for service still remains. By contrast, an independent service centre doesn’t have to deal with anywhere near as many expenses as an official Mercedes-Benz dealership. For starters, since we don’t have to pay for truckloads of new vehicles every couple of months! It isn’t just that however. During service, buying parts is a pretty major part of the cost. And the thing is, the three-pointed star comes with a markup – and that applies to parts. An independent Mercedes-Benz service centre can also use OEM parts in some cases to bring down the price of service. These can be significantly cheaper than official, “genuine” Mercedes parts. A common mistake that many people make when it comes to assuming that genuine Mercedes-Benz parts are the only things you should be putting into your Mercedes. The dealerships don’t help with that either – after all, if people assume genuine is the only way to go, that leaves the dealership as the only option. We’re here to tell you that’s not the case! Independent Mercedes-Benz dealerships use a mixture of genuine and OEM (Original Equipment Manufacturer) parts. Now, before you start panicking, let us set the record straight: OEM parts are not dodgy, no-name parts. Rather, they’re unbranded versions of genuine parts, made by the original manufacturers (hence the name). In terms of function and quality, they’re practically identical – they’re made by the same manufacturers using the same machinery and held to the same quality control standards, after all. 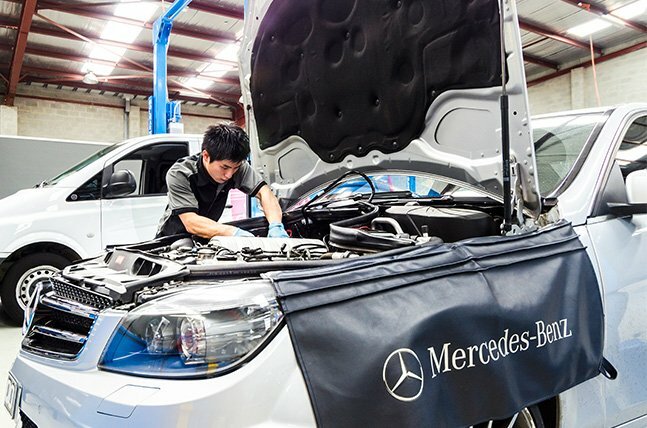 When getting your Mercedes-Benz serviced, you’ll want to leave it in the hands of somebody who knows their stuff. For most people, that means taking their vehicle down to the dealership. 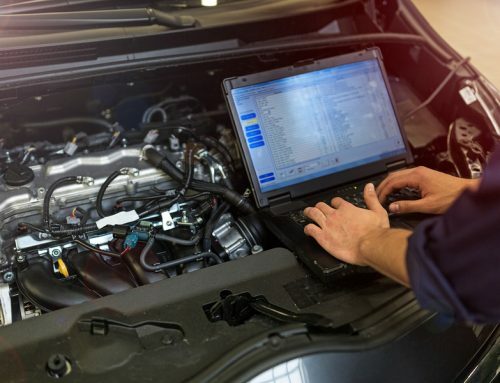 While you may think that the local Mercedes Benz dealership has a wealth of knowledge regarding your vehicle, the reality is the majority of cars they see are quite new, and still within their warranty period. 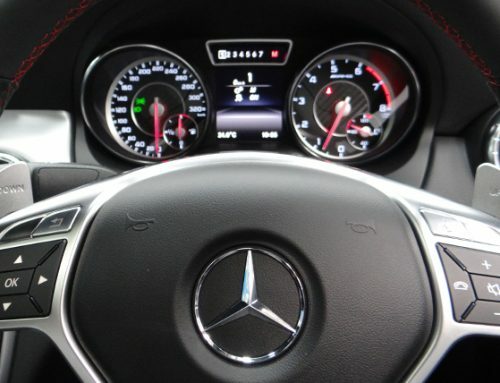 At Ammstar, we aren’t like the corner mechanic – we work exclusively on Mercedes-Benz vehicles. As a result, we’re intimately familiar with each model’s quirks and features. Our team of expert mechanics know Mercedes inside-out, to the point where we can diagnose problems based on how the car “feels”. By contrast, your corner mechanic works on vehicles from dozens of different brands. Sure, they might see a Mercedes here or there – not enough to build that level of hands-on experience, however! There’s also the question of equipment. As a luxury brand, Mercedes-Benz vehicles are packed with features and technology you won’t find in most other makes. These features often require special equipment, processes and diagnostic tools to fix. You can’t guarantee that your corner mechanic will have these. But we certainly will! Eager to enjoy dealership-level service for your Mercedes without the price? You’ll want to start looking into independent Mercedes-Benz service centres! Ammstar is an independent Mercedes-Benz service centre based in Fairfield and Moorabbin. With 20 years of experience providing service for the entire Mercedes catalogue, we’re able to give your vehicle the service it deserves. Get in touch with our Fairfield workshop on (03) 9499 9585, or our Moorabbin workshop on (03) 9555 5580. Alternatively, click here to make a booking.